Congratulations Jen S - last week's winner of my first giveaway. I had so much fun that I am going to do it again! I'm hoping to make it a regular Friday event but I need your help ... what items do you want to see me giveaway? Please let me know in the comments below. 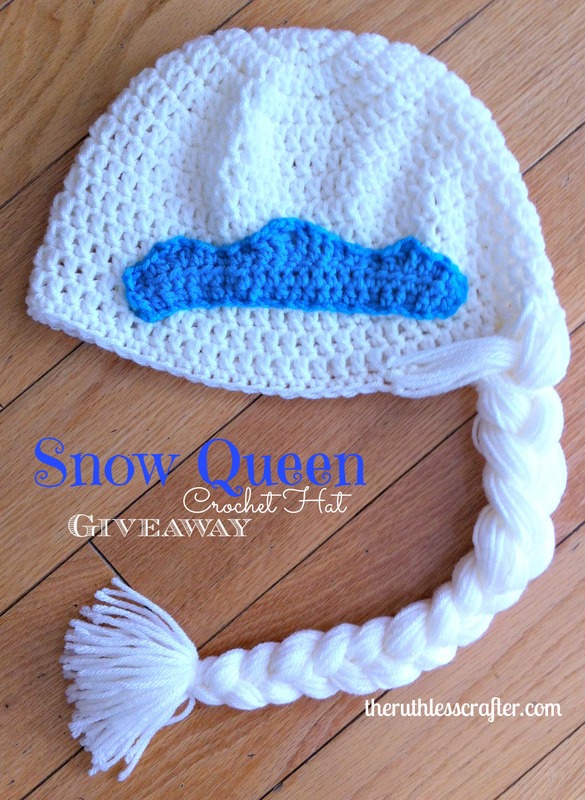 This week I am proud to offer a winter hat based on Elsa, the Snow Queen from this season's biggest craze - the FROZEN movie. I crocheted it myself and it was so fun to work up. The one I am giving away will fit a child (approximately ages 3-10). If you need another size or just cannot wait to see if you have won, I sell them for only $25 Canadian plus shipping!! You can contact me at theruthlesscrafter(at)outlook(dot)com if you would like more information.